In 1997, a musical revue came and went at Broadway’s Royale Theatre. The revue, Dream, was a mostly unexceptional journey through the music and lyrics of the legendary Johnny Mercer. Why the “mostly,” then? Dream had one very exceptional living link to Mercer, and that was the resplendent Margaret Whiting, who passed away on Tuesday at the age of 86 in Englewood, New Jersey. When Mercer (along with Buddy DeSylva and Glenn Wallichs) started Capitol Records in 1942, one of the first artists he signed was 18-year old Margaret, daughter of composer Richard (“Too Marvelous for Words,” “Ain’t We Got Fun,” “Hooray for Hollywood”) Whiting. Mercer, a frequent co-writer of Richard’s, had known Margaret since she was a child, and formed a lasting friendship and mentorship with her. He gifted the Freddie Slack Orchestra with “That Old Black Magic” (a Mercer/Harold Arlen composition), with Margaret as featured vocalist. Their rendition on Capitol 126 hit the Top Ten in 1943, facing stiff competition from the Glenn Miller Orchestra’s recording. 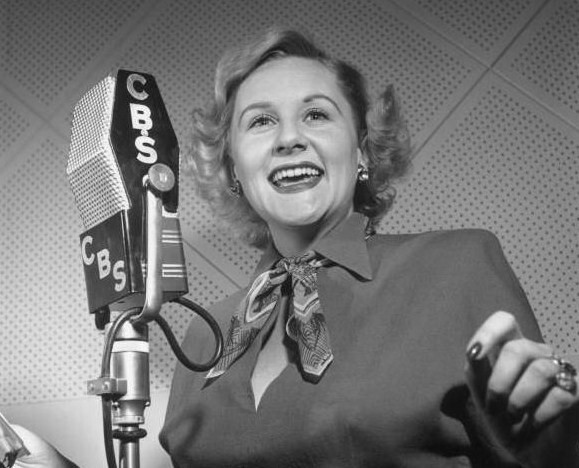 The next year, Whiting was one of the very first artists to record “Moonlight in Vermont,” and she went on to help popularize such songs as “It Might As Well Be Spring” (from Rodgers and Hammerstein’s 1945 film musical State Fair) and in a duet with Mercer himself, Frank Loesser’s “Baby, It’s Cold Outside” (first heard in 1949’s Neptune’s Daughter). Whiting remained with Capitol until switching to Dot in 1957 and then to Verve in 1960. She returned to Capitol for a brief stint and then finished out the decade on London Records, having her last hit single with “The Wheel of Hurt,” which reached No. 1 on the Easy Listening chart in the rapidly-changing music world of 1966. Whiting, known for her clear, smooth voice and youthful, somewhat innocent look, persevered. She reinvented herself as a premier cabaret artist and also acted in musicals, in addition to making periodic return visits to the recording studio. Where to begin exploring the great lady’s catalogue? Many of the best Whiting anthologies are no longer available, and of them, many cover the same era. Hit the jump for The Second Disc’s tribute and guide, in modified Back Tracks style, to the one and only Margaret Whiting. Any exploration of Margaret Whiting’s Capitol years should begin with the sadly out-of-print The Complete Capitol Hits of Margaret Whiting (Collectors’ Choice, 1999). Produced by Gordon Anderson, its 42 tracks encompass her Billboard pop hits in chronological order, beginning with “That Old Black Magic” and going through 1956’s “The Money Tree.” One track, “But Beautiful,” is presented in an alternate take, and “Broken Down Merry-Go-Round” has a false start. But otherwise, these are tracks exactly as heard on the original Capitol singles. If you’re seeking a single-disc compilation, Capitol itself offered two before the more comprehensive Collectors’ Choice set arrived. 1990’s installment in the Capitol Collectors Series is a 26-track set and contains two tracks not on The Complete Capitol Hits: a rare recording of Jule Styne, Betty Comden and Adolph Green’s “The Party’s Over,” which was the B-side of a Canadian single, and a classic radio commercial for the song “Good Morning, Mr. Echo.” Spotlight on Margaret Whiting (Capitol, 1995) was part of the series Great Ladies of Song, and for the most part, covers different material than the other releases. It avoids the most familiar songs like “It Might As Well Be Spring” or “Baby, It’s Cold Outside” in favor of other Great American Songbook standards from the pens of Johnny Mercer, the Gershwins, Johnny Burke, Jimmy Van Heusen, Rodgers and Hart, Frank Loesser, Cole Porter and others. Two previously unreleased tracks are included, “Back in Your Own Backyard” and Porter’s “I Get a Kick Out of You.” The 2004 Vocalion release Hello Young Lovers: Capitol Singles 1950-1962 collected 26 such single tracks, among them the title song and two others from The King and I, “The Best Thing for You” from Irving Berlin’s score to Call Me Madam, and “Make the Man Love Me” from Arthur Schwartz and Dorothy Fields’ A Tree Grows in Brooklyn. Unfortunately, these three discs are all out-of-print and command high prices in the secondhand market. The best collection currently on the market is Jasmine’s 113-track(!) four-disc boxed set My Ideal: The Definitive Collection. Although a public domain release made possible because of British copyright law, this set spans the period between 1943 and 1957, and includes arrangements by renowned musicians such as Frank DeVol, Billy May and Nelson Riddle on a wide variety of tunes. Some songs are missing, most notably Whiting’s successful duets with early country-and-western star Jimmy Wakely, although the Whiting/Wakely tracks have also been collected by Jasmine on 2006’s single-disc Till We Meet Again. Still, the set is budget-priced, making it an incredible bargain. It thankfully has informative liner notes as well as recording information. Jasmine continued their Whiting campaign with 2010’s The One and Only, drawing on rare radio appearances, while 2003’s Everlasting on the Sepia label collected more obscurities from the Capitol catalogue, including two duets with Dean Martin. 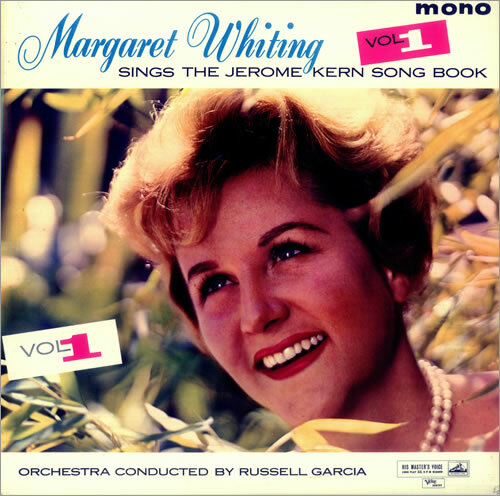 Finally, two of Whiting’s Capitol albums were collected as a two-fer by EMI U.K. in 1999: Love Songs by Margaret Whiting (1955) and Margaret Whiting Sings for the Starry-Eyed (1956). Although this set is, too, out-of-print, it’s worth hunting down for the prime 1950s Capitol studio sound. Margaret Whiting decamped to Dot Records, where she made her single debut on 1957’s Dot 15583, “Kill Me with Kisses” b/w “Speak for Yourself, John.” She released six 45s in her short tenure on the label, including 1958’s Dot 15742 which introduced Burt Bacharach and Mack David’s infectious “Hot Spell” b/w a cover of Hank Williams’ “I’m So Lonesome, I Could Cry.” “Hot Spell” made a belated CD debut in 1998 on Varese Sarabande’s More from the Bacharach Songbook. Five LPs were also released: 1957’s Goin’ Places with a variety of standards, 1958’s country-flavored Margaret, 1959’s Great Hits reprising many of her 1940s classics with arranger Russ Garcia, 1959’s Milt Rogers-arranged Ten Top Hits, on which she performed a number of romantic ballads including “Till There Was You” from The Music Man, and 1960’s Just a Dream. Whiting’s recordings for Dot have been woefully underrepresented on CD, but Sepia does its best to rectify this with the upcoming March release of Great Hits and Ten Top Hits as a two-fer, with three bonus tracks appended. 1960 was a busy year for Whiting, newly free from Dot. With Russ Garcia at the podium, she recorded two volumes of The Jerome Kern Songbook for Verve, and an LP, Past Midnight (with some Marty Paich charts on the latter) for MGM. She then recorded a delicious Verve album with Garcia and Mel Torme of then-contemporary theatre songs, Broadway Right Now, including fun cuts from Cy Coleman and Carolyn Leigh’s Wildcat, and Jule Styne, Betty Comden and Adolph Green’s Do Re Mi. Universal Japan reissued these albums in 2007 and 2008, combining both Kern volumes onto one disc. While the Kern collection is now out-of-print, Broadway Right Now and Past Midnight are both still available. After a brief return stint at Capitol, Whiting charted her final hits as a London label artist, adjusting her repertoire as the change in musical styles demanded. 1967’s Maggie Isn’t Margaret Anymore offered her take on Burt Bacharach and Hal David’s “Only Love Can Break a Heart,” as well as “There’s a Kind of Hush,” made famous by Herman’s Hermits. She also covered “Something Stupid,” “This is My Song” and “My Cup Runneth Over,” from the Broadway musical I Do! I Do! on this LP. The Wheel of Hurt gave Whiting her final hit single with the Charles Singleton/Eddie Snyder title song, which hit No. 26 on the Top 40 and reached pole position on the Easy Listening chart. (As did so many other artists of the time, Whiting covered “Winchester Cathedral” on the LP!) Pop Country in 1968 saw Whiting returning to country-western, tackling then-fashionable songs like “Release Me” and “Gentle on My Mind.” Unfortunately, none of these LPs have been reissued on CD, although vinyl copies may be found on eBay. Some years passed, and Whiting returned to the studio for the Audiophile label in 1982 for Too Marvelous for Words (1982 – reissued 1995), named after her father’s composition and subtitled “A Tribute to Johnny Mercer, Richard Whiting, Arthur Schwartz and Alec Wilder.” On this warm album, she paid loving tribute to those esteemed gentlemen with wonderful results. Her recording renaissance continued with Come a Little Closer (Audiophile, 1982 – reissued 1995), which balanced standards with perfectly-chosen songs of a more modern vintage such as Rupert Holmes’ witty “I Don’t Need You” and the Carole Bayer Sager/Peter Allen ballad “I’d Rather Leave While I’m in Love.” On The Lady’s in Love with You (Audiophile, 1985 – reissued 1991), Whiting recorded Stephen Sondheim’s “Being Alive” alongside classics from Rodgers and Hammerstein, and George and Ira Gershwin. Of these three CDs, only Too Marvelous appears to be unavailable at present. Whiting took to the off-Broadway stage in 1983 for Taking My Turn, a musical by Gary William Friedman and Will Holt (The Me Nobody Knows). She joined an eclectic cast including Cissy Houston and Marni Nixon for this poignant and unusual musical dealing with the ups and downs of aging. The original cast recording of Taking My Turn was reissued in 2000 by DRG and again in 2010 by the 150 Music label. In 1990, Whiting released Then and Now (DRG), on which she revisited some of her most well-known songs including “Moonlight in Vermont” plus songs she had never recorded before. Songs like “The Best Thing for You” and “It Might As Well Be Spring” took on new, deeper meaning sung with the experience only time can bring. Saxophone great Gerry Mulligan guests on this album, and Lee Musiker contributes often-jazzy piano accompaniment. Then and Now is currently available as a CD-R from Amazon, although used copies can be found at affordable prices, too. Margaret Whiting gained recognition in 2009 when her 1947 Capitol recording of Jule Styne and Sammy Cahn’s “Time After Time” appeared in the hit film Julie & Julia. She truly left behind a lifetime of popular song, contributing mightily to the Great American Songbook. She will be remembered. Speaking of Margaret Whiting, Yahoo’s The Judy Garland Experience is paying tribute to her all this week. Along with the weekly uploading of ultra rare Garland tracks we also have several rarely heard and never released Margaret Whiting performances. Included in the mix is a complete set recorded at Rainbow And Stars in the late 80’s, highlights from Margaret’s stint as 1946’s Voice Of Continental Can Company, television appearances, other concert performances, out of print studio sessions, and more.